* We used a mandolin slicer to make the zucchini noodles. 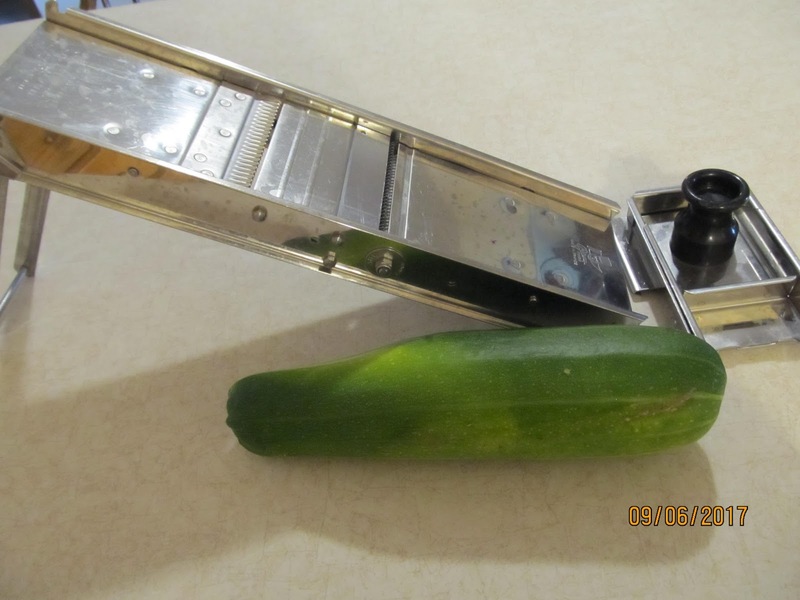 If you don’t have one ,you can also use a potato peeler, which would make your zucchini a bit wider. Which is just fine. 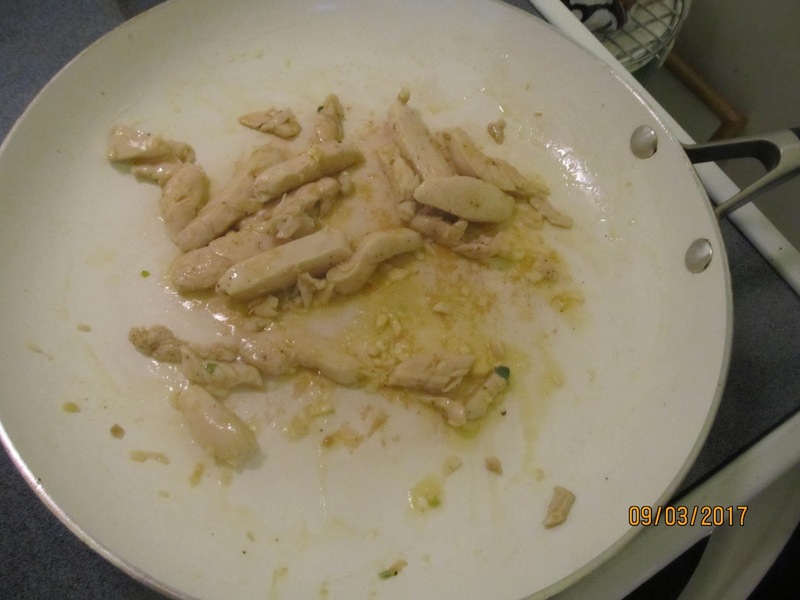 -Saute chicken breasts and garlic in olive oil. – Add Tomato, and chopped herbs, cook until tomato starts to soften. 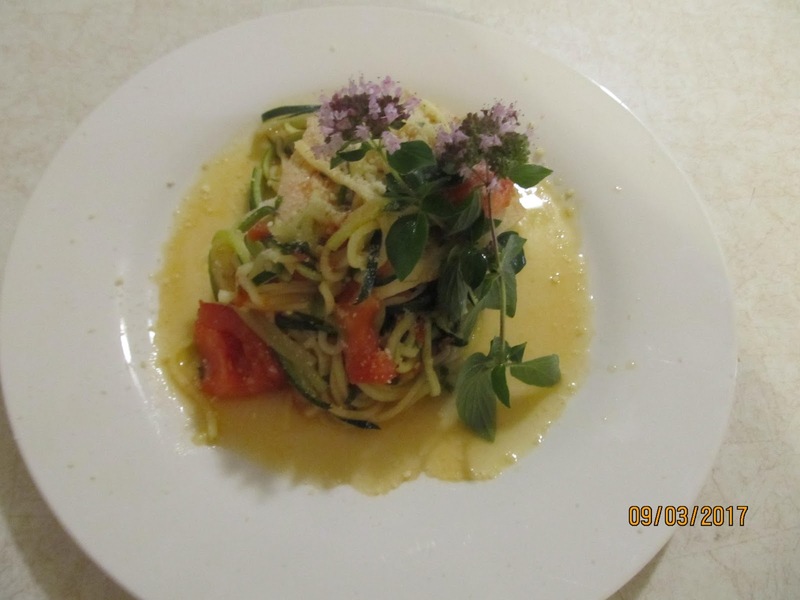 – Season zucchini noodles with the salt and pepper. 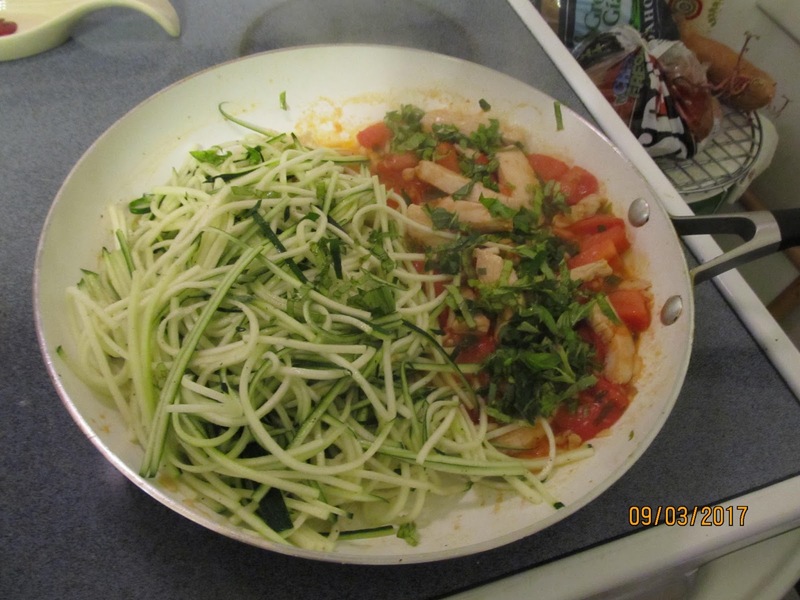 – Add to pan and continue to cook until zucchini is tender. – Take care not to over cook the zucchini or it will get mushy. Nothing like using fresh vegetables from our garden. The flavor can’t be beat. If you try this dish, let us know your thoughts?